Super Bowl Sunday is a day when our nation turns its attention to a football game. Millions are spent on advertising and publicity. Our hope on this day is that attention can also be turned to caring for those in need. In 1990 a youth group at a church founded SouperBowl of Caring. People of their congregation put money into soup bowls or baskets after the service on Super Bowl Sunday and 100% of the proceeds were donated to LOCAL charities. Now is our chance to tackle hunger, not in some far-off place we would have to look up in an atlas to find, but right here in Phoenix, Arizona. On February 3, 2019, members of your Mission Committee and volunteers will be stationed at the doors as we exit the church, ready to accept cash donations for this worthy cause. Donations will be divided between Agua Fria and Valley View Food Banks, along with the Kids’ Café in Surprise. 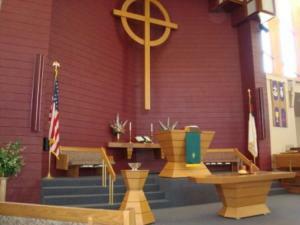 WORSHIP at Desert Palms is central to the life of the congregation. Worship brings us together every Lord’s Day (Sunday mornings at 8:30 and 10:30 from October through May and at 9:30 from June through September) and on other occasions, such as the great festival seasons of the church, to seek God’s word, respond to it, and celebrate Christ’s resurrection. Fellowship Hour is held in Fellowship Hall next door to the Sanctuary between services each Sunday. This time of fellowship and refreshments is a great time to visit with old friends as well as meet and greet new members and visitors. WORD and SONG are both central to the worship experience at Desert Palms. A 75-voice Chancel Choir led by director of music ministry Wendy Fentiman, individual men’s and women’s choirs, a 20-member hand bell choir, church organist Virginia Wilson, and the preaching of our senior pastor and associate pastor provide leadership for the each week. OUR WORSHIP is based on the “Reformed” tradition of the Christian faith wherein the service gives emphasis to the sacraments of communion and baptism, to the exposition of Holy Scripture through preaching, and to quality music that is both classical and contemporary. The Sacrament of the Lord’s Supper is celebrated monthly; the baptismal font is filled at the beginning of every worship service; and a service of renewal of baptismal vows is held on Baptism of the Lord Sunday in January each year. 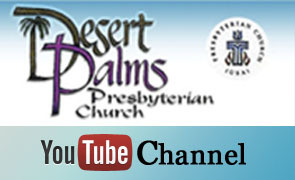 THE ORDER OF WEEKLY WORSHIP at Desert Palms follows the “Service for the Lord’s Day” suggested by the Book of Common Worship of the Presbyterian Church (U.S.A.). 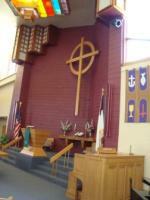 Attendance at worship during the fall, winter, and spring months averages more than 800 each week. on our You Tube Channel by clicking on the image above.